Does Medicine Need Ultimate Values? The article responds to Michael and Tracy Balboni’s book on spiritual care in medicine. The Balbonis identify a genuine need. Many people consider the issues they face during illness to be spiritual, to varying degrees. Moreover, faith-based hospitals can exemplify the sense of vocation that often seems missing in secular hospitals. That said, the article argues that the Balbonis claim far too much for the place of religion in medicine. By writing in generalities, they evade the difficult questions that could be glossed as human rights, although their claims for religion lead to such questions. The one clinical case story that they present in detail is considered at length, attending to what is exemplary in the care described, but also what is potentially troublesome and even dangerous. A brief conclusion proposes alternative sources of values in clinical practice. Frank, A. W. 2017. What is Narrative Medicine? 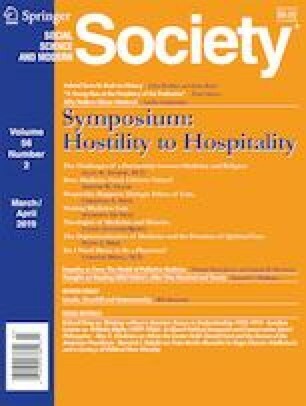 Journal of Medical Humanities., 2017. https://doi.org/10.1007/s10912-017-9464-2.